Hello there! Thank you so much for visiting our blog! 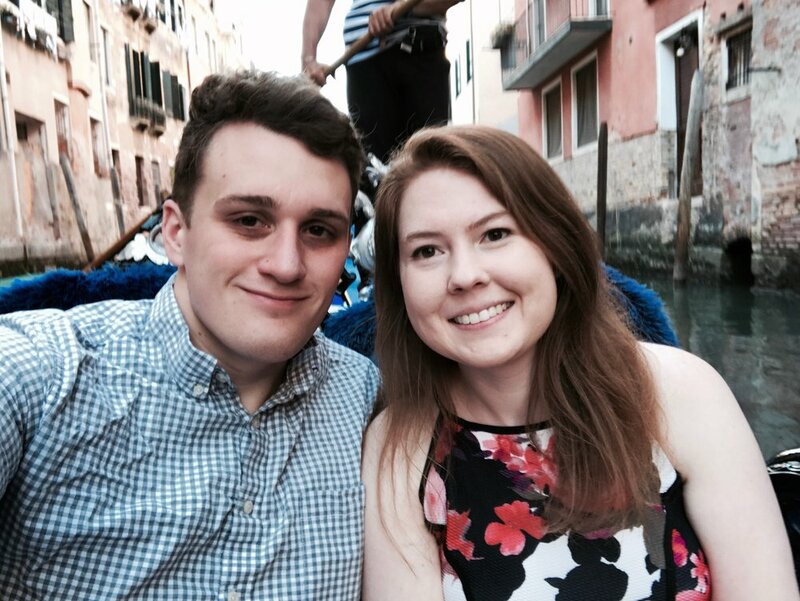 We are Alison & Eric Mullis, two 20-somethings with a growing passion for travel. We began dating in 2008 and got married at a Zoo in 2017. We reside in St. Louis, MO but are itching to get on a plane whenever we can. A Happy Passport was created to provide well-researched information on domestic and international travel and inspire others to explore the world. We feature destination specific posts, immersive city guides, as well as practical travel tips and gear. We offer budget-concious advice, without sacrificing experiences and comfort. We believe that the ultimate goal in life is to be happy and spread happiness and one key to being happy is filling your passport. She is the one who apparently stands on the right of pretty much every photo they have ever taken together. She is in charge of photography, blogging, planning, the budget, and pretty much everything involving travel. She grew up in St. Louis, MO but was fortunate enough to have parents who sparked her interest in travel. In school, her obsession with understanding everything and protecting the earth led her to pursuing degrees in science with a focus on environmental studies. However, that same passion for learning drives her to explore every corner of this world. She is overly practical and plans out every minute of their adventures. She makes countless spreadsheets and tests out all of their routes on google map's street view before leaving. Outside of travel, Ali loves watching stand-up specials on Netflix, baking, cuddling and getting annoyed at their cats, seeking out the best vegetarian dishes, graphic design, getting scared at everything, and personal finance. He is the on the left of photos. He takes care of the videography, everything technology, and holding the phone for selfies. He also grew up in St. Louis, MO and traveled a fair amount as a kid. More than travel, he is a die-hard Apple fan-boy. His love of tech led him to getting a degrees in computer engineering and computer science. He became an Engineer and loves it. He is extremely supportive and somehow always follows along with all of Ali's crazy (but well-thought out) plans to new destinations. However, he never forgets to pack his newest gadget with them. He also has a special knack for knowing what type of plane is flying overhead. Outside of travel, Eric loves eating cookies, politics, taking multiples showers a day, building robots, watching baking competitions, and biking. Hope you enjoy following our journey! You can contact us here and be sure to follow us on Instagram!